A recent blog post syndicated to Planet Mozilla (trying to recruit supporters for a petition against marriage equality in the UK) led to a veritable storm in the Mozilla community around a content policy for Planet, and finally it turned into a general discussion about a Code of Conduct for the entire Mozilla Community. This proposal isn't new: A few months ago, it shortly came up surrounding a panel discussion at Mozilla's internal All-Hands conference, where I asked for clarification on recent vague remarks from the CEO concerning anti-discrimination policies at Mozilla. Unsurprisingly (and rightly), the CEO reaffirmed that Mozilla would not tolerate illegal discrimination of any kind (paraphrase: mine). At the time, I concluded that there was no need for a written Code of Conduct, believing that the basic concept of treating each other with mutual respect was so universal and simple that it can even (and should) be instilled into any preschooler, not to mention adult. It does not matter what you personally believe about anyone else's gender, religion, sexual orientation, body shape, color of skin, handicap, or funny accent. The instant you walk through Mozilla's virtual "doors", you have to exhibit professionalism and respect towards whoever you interact with. I expected it to be an obvious prerequisite for acceptance into the Mozilla community. Apparently, this is not shared by everyone. A small minority of community members seem to believe they don't (always) have to adhere to such standards. Unfortunately, they are supported by another group of people who misunderstand this as a question of freedom of speech. It isn't. Still, let's not get carried away: Inflating this occurrence into an outright crisis would utterly disregard the contributions of many individuals (me included) who take the mandate of mutual respect very seriously and have--regardless of their own background or even opinion on the topic at hand--been speaking up and demanding the person in question adhere to such standards while acting within the Mozilla community. Not to mention the many community members who may be less vocal but exhibit flawless behavior towards their peers on a daily basis as a matter of course. In the light of all this, I concede now that writing down a Code of Conduct would be helpful to Mozilla. It would perform the important function of reminding people of these basic standards and urge superiors and peers to enforce them. It would also serve as a valuable reference in case of confusion, or when new members are unsure what's expected from them. Christie has listed some good examples of existing codes of conduct by other open source communities. I particularly like the Code of Conduct set forth by Ubuntu, because it does not make the need to act civilly dependent on any particular attribute of a person. Instead, it demands consideration, respect, and collaborative behavior from all community members and towards all community members equally. I'd wish for a Mozilla Code of Conduct to do the same. Diverse News-Seiten im Internet haben heute gemeldet, dass StatCounter (eines von mehreren Internet-Marktforschungsunternehmen) im November Google Chrome beim weltweiten Marktanteil erstmals knapp vor Mozilla Firefox gesehen hat. Dass manche Statistiken Chrome auf etwa gleichem Marktanteil wie Firefox sehen, ist ein Erfolg für Mozilla. Der Stiftungszweck der Mozilla Foundation ist, für die Offenheit des Webs einzustehen, und für die Freiheit der Benutzer, das Web so zu verwenden, wie sie es möchten (nicht: so wie man es ihnen vorsetzt). Die Tatsache, dass Google dazu in der Lage war, einen Browser zu erstellen, und diesen erfolgreich an den Markt bringen konnte, ist ein unmittelbarer Effekt des unerbittlichen Kampfes von Mozilla und seiner Community, den Browsermarkt aus einem Monopolmarkt in einen Markt mit mehreren Konkurrenten zu verwandeln. Es wäre scheinheilig von Mozilla, nun zu behaupten, das hätten wir nicht gewollt, oder "als wir offenes Web sagten, meinten wir eigentlich ein Firefox-Monopol". Offen heißt offen, und wenn Benutzer Chrome verwenden wollen, dann müssen sie dazu in der Lage sein. Das alles heißt freilich nicht, dass wir nicht noch immer Firefox für den besten Browser für die Benutzer halten: Schließlich ist es der einzige Browser, der die Interessen des Benutzers ohne Wenn und Aber in den Mittelpunkt rückt. Dass Google ein Konkurrent ist, der mit Chrome ein technisch starkes Produkt mit zweifellos innovativen Eigenschaften hat, ist nicht weniger, sondern um so mehr Grund, Firefox ständig weiter zu verbessern. Mozilla, PyPI and the "vendor library"
Yesterday, I read a nice blog post by Alex Clark outlining his experience setting up an instance of Zamboni (the Mozilla Add-ons codebase). The main source of confusion was that Zamboni, like most Django-based Mozilla web applications, uses something we call a vendor library to deploy their third-party library dependencies, as opposed to installing them from PyPI using pip. This is me, reading a Firefox-themed QR Code with my cell phone. After getting the idea from this excellent blog post, I made a QR code pointing to mozilla.org/firefox, sporting a nice little Firefox logo in the middle. For the geeks among you who would like the 411, this works because QR codes have a certain degree of redundancy for error correction. The logo in the middle is considered an "error" and thus, the rest of the code is used to puzzle together the information in the code anyway. 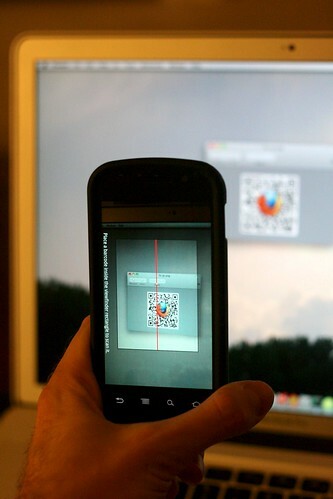 Try it out with your smart phone (on Android, with an app like Barcode Scanner), it really works! I don't often write fiction, but this piece is fictional, my intention is for it to be read as a parable. Of course, I am not a writer, so I am unsure how good it is, but if you're so inclined, read it, try to understand, and feel free to draw parallels to your own real-life situation as you see fit. My Facebook session is SSL-encrypted by default, but Words with Friends requires me to disable this encryption. This is wrong on many levels. Most notably, if I disable "secure browsing" on Facebook altogether, even only for this session, my session cookie will be sent in plain text over the wire (or worse, on Wifi, over the air). If I do this at a coffee shop or airport, this is a great invitation for every evildoer in the general vicinity to hijack my Facebook account. While I appreciate Facebook's transparency in the matter, I find it upsetting that companies like Zynga wouldn't account for Facebook users on SSL. By encouraging people to access Facebook over an unencrypted connection, they are foolishly endangering user data and are demonstrating an utter disregard for user privacy. I wish Facebook enabled SSL encryption by default, and furthermore required third party apps to be served over SSL. You can't have it both ways: Either you don't handle user data, then you don't need to care about encryption. Or you do handle user data (and yes, a session cookie counts! ), then you need to properly secure it. I am tired of software makers weaseling themselves out of their self-imposed responsibility. Update: As pointed out in the comments, moving to HTTPS for apps is on Facebook's developer roadmap. I appreciate it! "What, Mozilla makes websites? I thought all you did was Firefox." 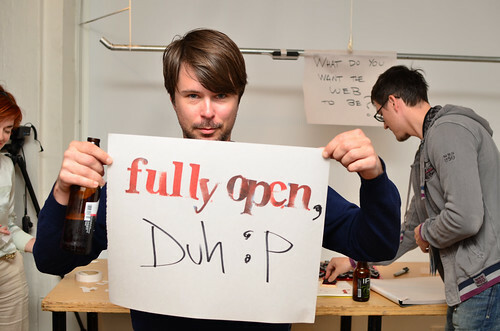 It's usually followed by a second question: "what, your websites are open source, too?" The basic misconception here is that Firefox is Mozilla's mission. This is not true. 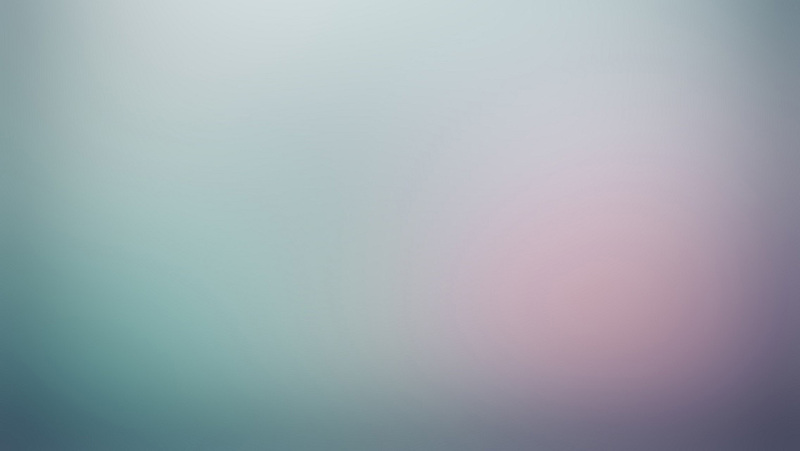 Mozilla's mission is outlined, in broad strokes, in the Mozilla Manifesto, and the core of Mozilla's mission is to make the Internet better for the users (which goes beyond the Web and includes technologies like email, for example). And we believe that the best Internet for the users is one that inherently supports openness and choice. Now don't get me wrong. Firefox is important. Because the Web is the most visible thing that people like you and I are using the Internet for nowadays, Firefox is our most important tool to make the Internet better for the users. But it is not enough. The Web is not television. On the Web, the users are also the producers. And this is why Mozilla's mission goes beyond Firefox, beyond Thunderbird, deeply into the development and privacy space. A participatory Web based on Open standards, powerful APIs, along with the inherent freedom of choice and users' control over their own personal data are what Mozilla is all about. Apart from Firefox, don't be surprised to see Mozilla write state-of-the art, open source web applications and developer tools, be involved in the development of various open standards and play an important role in many other spaces that are relevant to the Internet today. This is a cross-post of a blog entry I wrote for the Mozilla Webdev blog. A few months ago we founded an experimental new "rapid web development" team at Mozilla. Its purpose was to take care of a growing number of short- to medium-term web projects at Mozilla. We nicknamed it the "Flux" team (for its ability to maintain a higher throughput of projects while reducing the overhead of individual projects). software lifecycle management: establishing project management guidelines and driving web software projects from idea to completion (including their eventual retirement). The team also served as stewards for externally developed projects. streamlined web development: reducing the amount of nonfunctional overhead when developing Mozilla web apps, while ensuring consistently high quality standards across projects. The experiment proved successful: Together with a number of internal and external groups, Flux successfully released more than a dozen projects of varying size around the release of Firefox 4 and Firefox 4 mobile. But along the way it became apparent that the two focus areas mentioned above are different and challenging enough to stand on their owns, so we rearranged the group accordingly, spawning the Web Productions team (led by Ryan Snyder) and the (new) Flux Development Team (led by me, Fred Wenzel). The web productions team will continue to run Mozilla-internal web projects, but has also branched out into fostering community-sourced projects and similar endeavors. 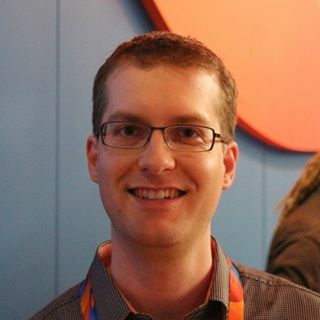 In the Flux Development group, I am working with a team of (so far) three excellent engineers (Dave Dash, James Long, and Anthony Ricaud) on web development for various parts of the Mozilla community. Software architecture and development for existing and new projects, among them: mozilla.com/org, Firefox Input. Tools and services to be shared by various projects, e.g., ElasticSearch, Grouperfish text clustering, Mozilla Product Details. Assisting as technical stewards with Web Productions projects. Say hi to the new Flux and Web Producers teams!